Anyone who uses digital devices is a potential target for hackers. Cyber criminals never sleep. They are always looking for ways to find valuable targets and launch attacks to achieve their nefarious objectives. Never think it wouldn’t happen to you. The risks are higher for your business and personal well being. It is your responsibility to protect yourself. Here are the top 10 cyber security tips for anyone who uses computers and the Internet. Be sure to follow these tips to stay safe in the digital world. Software manufacturers always work to identify and resolve security loopholes in their products. To protect users, they make updates available for the software. It is critical for users to update their software, including the OS and security programs. To boost your protection, turn on automatic updates on your system. Also, use browsers that frequently get security updates. Updating your browser plugins like Java can also go a long way toward enhancing your cyber security. Hackers are coming up with creative ways to steal your valuable data. A phishing scam is an example of how the hackers are using sophisticated methods like social engineering to steal your sensitive data and information. They use different tricks to have you disclose your personal data like your banking information and username and password. Hackers carry out phishing attempts via email, social media, and phone. They often mask their email addresses to be coming from someone you know or someone in your contacts. For example, the email may look like from a colleague or from your bank. Never give out any sensitive information (business or personal) via email or telephone. Also, never click on emails you think are suspicious. It often seems daunting to memorize too many passwords to access different applications and websites. Most people reuse one simple password for every website and application. While that can make things easy for you, it makes you highly vulnerable to cyber attacks. You should use a password management program to create and maintain strong passwords for your accounts. A reliable password management program like KeePass can not only create strong passwords but also enter them automatically and prompt you frequently to change your passwords. You will have to remember only one password to access the password management tool, which will take care of the rest. Make sure to always create passwords of more than 20 characters in length. Include different characters, such as caps lock, numbers, and special symbols in your password and never reuse the same password for different sites or applications. Also, never share your passwords with anyone. Change all of your passwords from time to time. First off, don’t visit unknown and unsafe websites. Never download anything from sources your don’t know and those appearing malicious. Hackers are creating malicious websites to download and install malware on your computer. Using the malware, the cyber criminals can steal your financial information, business secrets, customer data, personal data, and other critical information. You should think thrice before clicking on any link that you receive in the email, via social media, or through other sources. To stop suspicious programs, malicious codes, and malware from automatically downloading to your system, be sure to use browser add-ons like NoScript. Your system or device’s physical security is as critical as their virtual security. Never leave your devices unattended. Always lock the device when not in use. Many people store their important data on flash drives and external hard disks. It is important to take care of the physical and virtual security of your storage devices as well. Remember, if you leave your device open and unattended, anyone can steal critical data from it, walk away with the device, or install a malware on it. Mobile devices are everywhere. They have made inroads into the workplace as well. For example, many organizations are adopting the Bring Your Own Device (BYOD) trend. Mobiles devices like smartphone and tablets can make life and business easier, but they are vulnerable to cyber attacks. You should protect your devices by locking them with strong passwords or PINs. Do not install apps from untrusted sources and always keep your device’s software and OS up to date. When you receive links or attachments from unidentified or uncalled-for sources through email, social media, or text, never click on them. Never store your critical business data or personal information on your mobile device. Use data encryption whenever possible. Also, use tools to locate your lost or stolen mobile devices. Last but not least, backup, backup, backup your data. 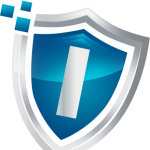 Antivirus programs can help protect you from cyber attacks. However, you should use only the trusted and effective anti-virus programs that come from reliable and trusted sources. Also, keep the antivirus updated. Use firewalls as part of your OS to defend your systems from cyber attacks. Be extra careful when using open Wi-Fi or public Wi-Fi hot spots. Consider using VPN on public Wi-Fi. Think twice before connecting flash drives, smartphones, or external drives to your systems. Frequently review your social media privacy and never share sensitive information (business or personal) on social networking sites. Keep eye on your accounts for suspicious activities. Go only to trusted sources and use safe networks and systems to do online shopping or perform online transactions.